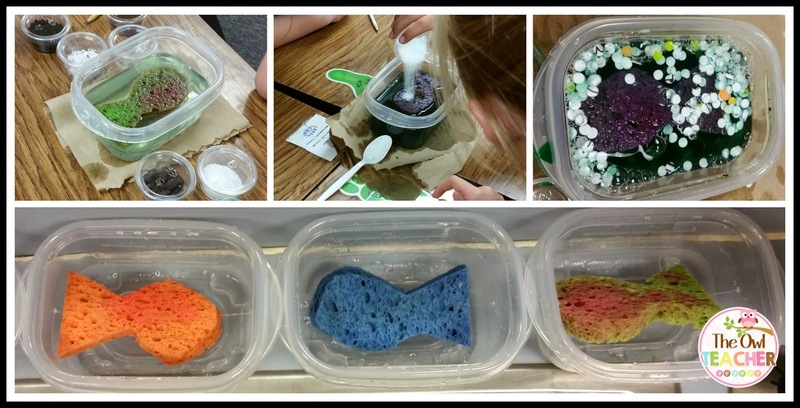 For Earth Day, I had my students explore water pollution through the Freddie the Fish Activity. There are many variations of this on the internet, but I created my own adaptation of it. 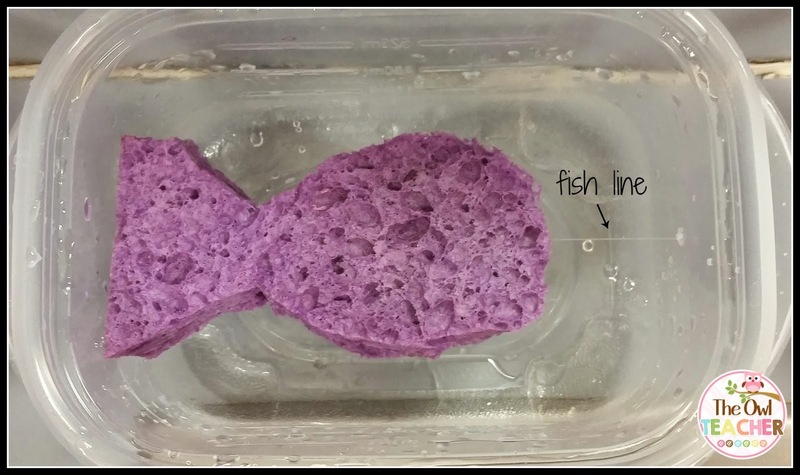 First, I created the “water environments” using a reusable plastic bowl container and a sponge cut in the shape of a fish attached with fish line. I created five of these for groups. Then using plastic solo cups with lids, I filled each one with a kitchen item that would represent a “pollutant.” For instance, when Freddie ran across fertilizer, I used water with green food coloring, litter from a local park was used from the holes in my paper punch, and when he was exposed to acid rain, I used dish soap. 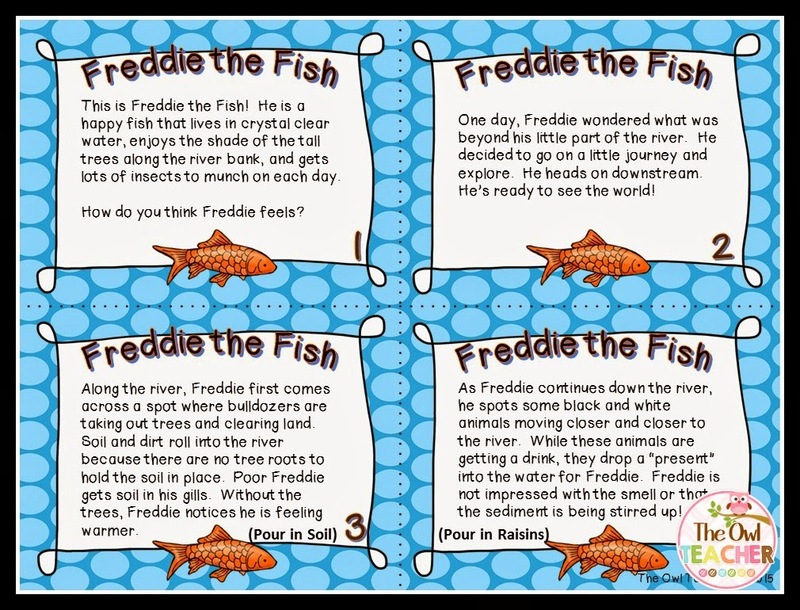 Then I read the story of Freddie (written on task cards in my free activity below) taking a journey in his river downstream and being exposed to various pollutants along the way. Each time Freddie was being exposed to a toxin, we poured a new item into the “water environment.” As we progressed downstream, Freddie’s environment was getting filthier and more dangerous for him. In fact, his survival was slim to none. To wrap up our Earth Day Activities, I read aloud The Lorax. We then discussed the importance of taking care of the Earth and our impact on it. 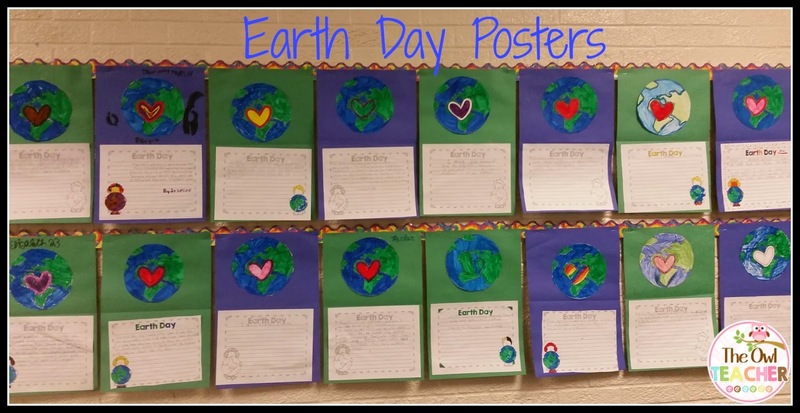 Finally, we created these “posters” advertising why the Earth is important and what we will do to keep the Earth healthy! 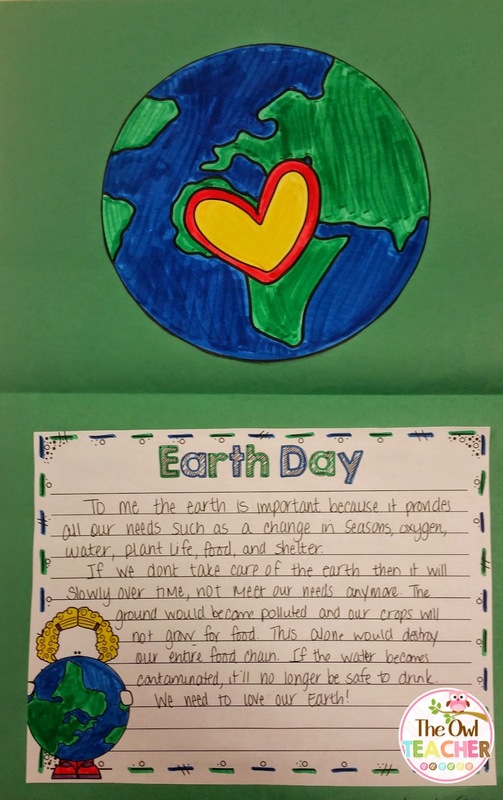 This activity doesn’t just have to be done on Earth Day. It could easily be used in any environmental science or pollution unit. You can download the Pollution Activity (Freddie Fish) above for free by clicking here! And if you are using this as part of your Earth Day lessons, you might also be interested in my Earth Day Booklet (available on TpT) which contains everything you need for your students to create an Earth Day booklet to take home while learning more about why we celebrate Earth Day and teaching some critical thinking and brainstorming skills in the process. That's a really cool activity. I hope I can find the book! What a cute idea! Love that it is very visual 🙂 Great resource! Thank you for sharing.